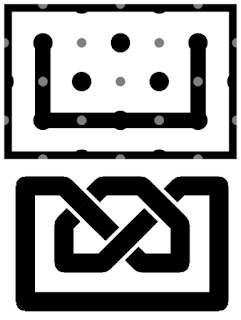 Here are some knot patterns made using the online tool mentioned a few posts back. 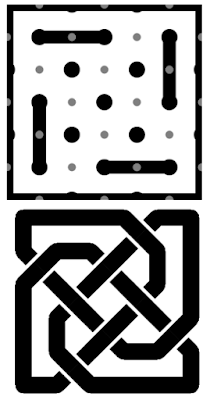 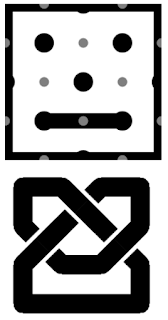 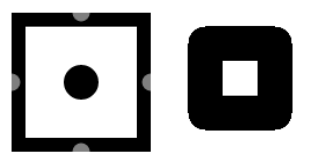 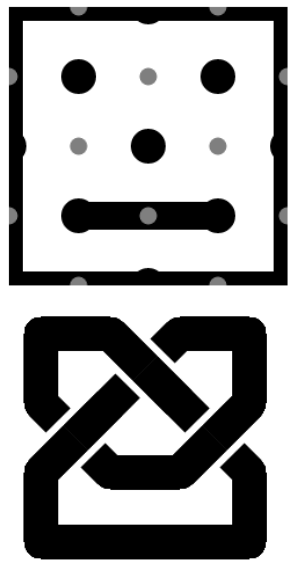 For each knot, the 'grid pattern' used to create the knot in the editor is also shown. 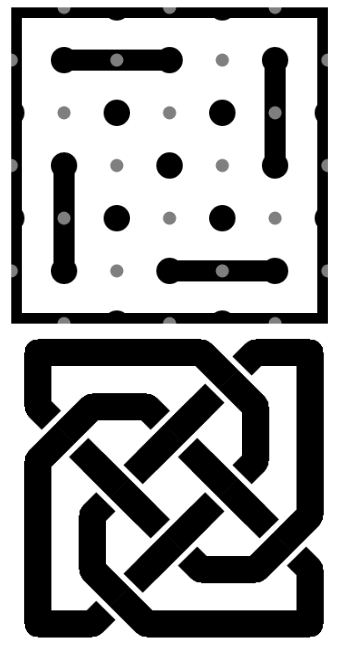 First up, the simple unknot. 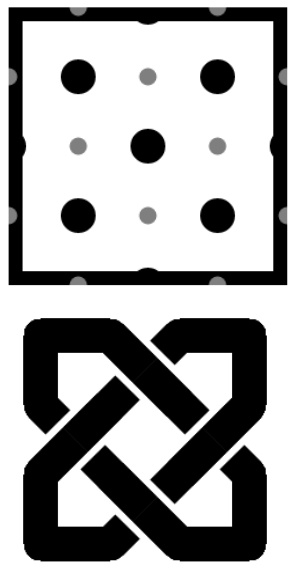 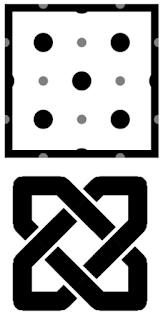 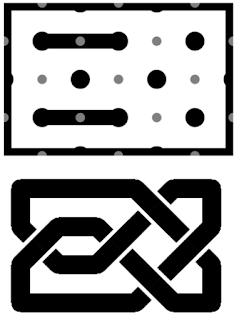 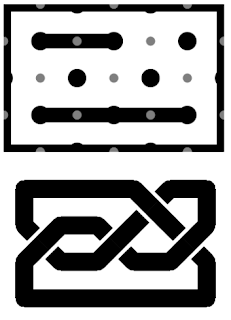 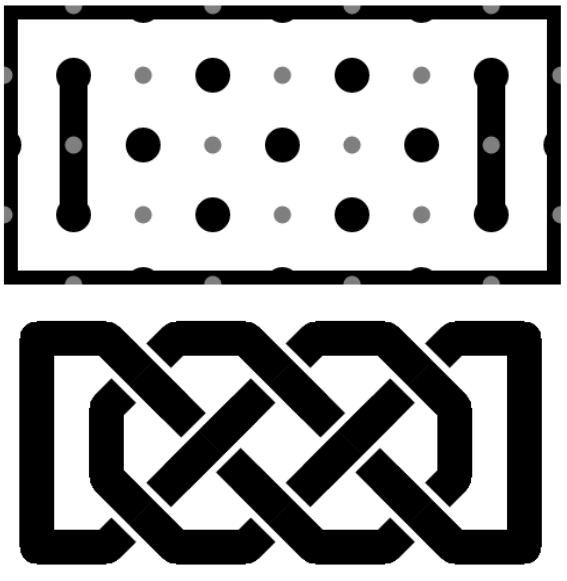 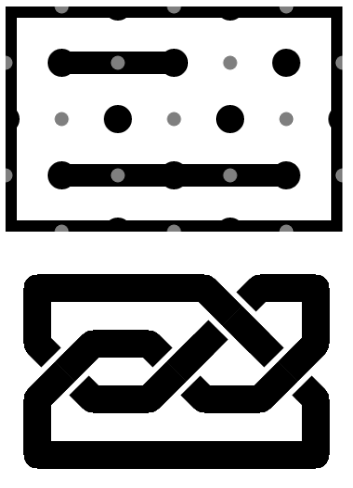 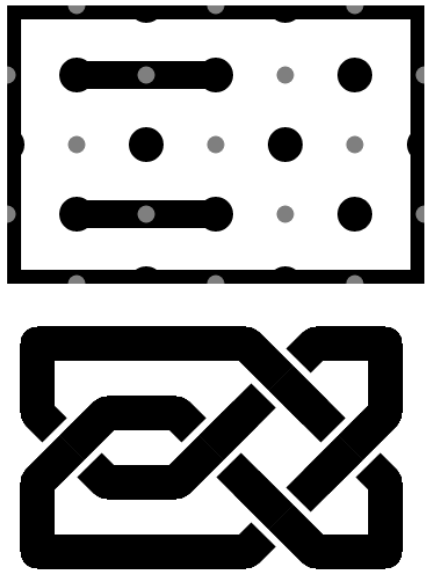 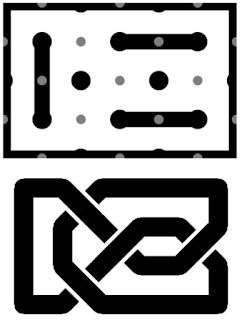 Next to this, we have a nice motif that is not a knot at all: the Solomon Knot is the name given to this motif of interlocked chains. 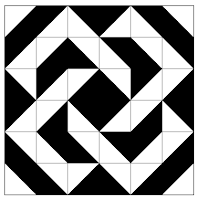 One of only two prime knots with five crossings, the three-twist (or 5_2) looks a lot like the figure 8. 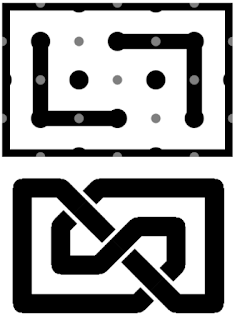 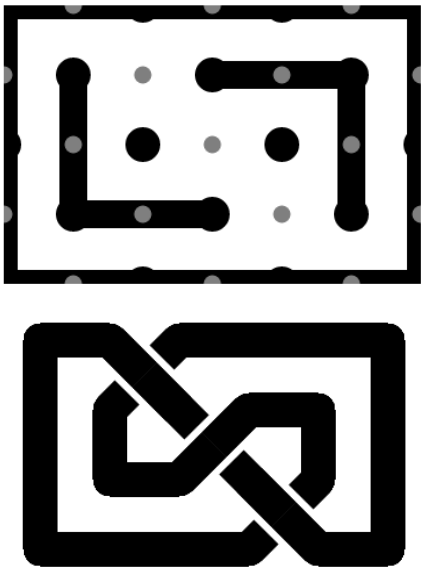 You can see how removing one of the lines in the grid pattern of the figure 8 allows for the additional twist that forms this knot. 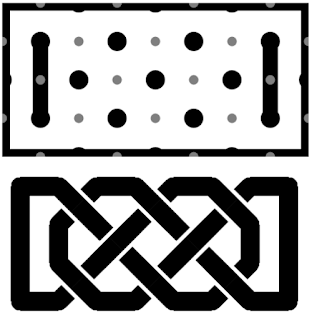 Experiment with these and others here.